A pair of nationally known choreographers challenge Dance Alloy's performers in the troupe's new show. Round-up: Dance Alloy's dancers will be put through their paces in Alloy Unlocked. For her first mainstage production for Dance Alloy Theater, December's Alloy Unlocked ... Part I, artistic director Greer Reed-Jones wanted to further open the Alloy to local artistic voices. The show featured works choreographed by Pillow Project artistic director Pearlann Porter and former LABCO head Gwen Hunter Ritchie. For the second installment of Unlocked, May 7-10 at the New Hazlett Theater, Reed-Jones turned her attention toward her own dancers. "This time, in a sense, I am unlocking the dancers' versatility," says Reed-Jones. "For this production, I challenged them with different movement styles, and they have stepped outside their individual boxes and shown another side to their technical and artistic skills." 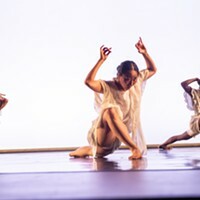 That versatility will be on display in three works, including world premieres by renowned choreographers Christopher Huggins and Robert Battle. Huggins, a former Alvin Ailey dancer, is now an independent choreographer perhaps best known for his work with Philadanco. Unlocked ... Part II opens with his "The List," a powerful 20-minute work inspired by Steven Spielberg's 1993 film Schindler's List. 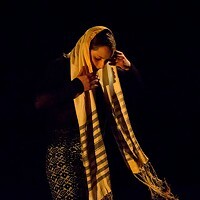 The genesis of "The List" was a five-minute piece Huggins choreographed for Reed-Jones' now-defunct Pittsburgh Dance Ensemble, in 2002. Reed-Jones says she was so taken by "The List" that after taking the reins at Dance Alloy last year, she made it a priority to have Huggins expand the work for the company. "It is just baffling to me [that the Holocaust] was allowed to go on for so long before people took notice of it and something was done about it," says Huggins via telephone from the West Virginia Dance Festival, in Charleston, where he is teaching and adjudicating. The newly expanded contemporary modern dance work is set partly to music from the Schindler's List soundtrack. It follows a family of four's ordeal from the time they are forced from their home in Krakow, Poland, until their deaths in a Nazi gas chamber. The roles are danced by Christopher Bandy, Stephanie Dumaine, Adrienne Misko and Maribeth Maxa. "The music really told me what to do," says Huggins. "For the audience, it will be pretty clear what is going on in the work. It is a heavy subject, but the dancers are really committed to it." The Unlocked program also includes a reprise of "Duet," a 20-minute work choreographed by members of Pilobolus and featuring that famed troupe's trademark entwining bodies. "Duet" will be performed by Alloy veterans Maxa and Michael Walsh. The program closes with Battle's "Crossing." The work gets its title (in part) from the crossing of jazz styles and eras, says Battle, speaking from his home base in New York, where he was recently named the new artistic director of the Alvin Ailey American Dance Theater. "My interest with the piece was looking at jazz and all its styles and genres," says Battle. "Sometimes ... when people think of jazz, they think of only whatever they happen to have heard initially ... Jazz is multifaceted, it can be swinging as well as disjointed." The abstract, 20-minute work is set to original and existing music by Pittsburgh-based jazz trumpeter extraordinaire Sean Jones, who's also Reed-Jones' husband. Joining the Alloy's five dancers in "Crossing" will be eight student dancers from Reed-Jones' August Wilson Dance Ensemble. The four-part work will be fueled by an added theme of "movement acceleration," says Battle. However, the work also includes a slower love duet, danced by the Alloy's Adrienne Misko and August Wilson dancer James Washington. The duet is set to "Love's Lullaby," a song Jones wrote for Reed-Jones when they were courting. "Crossing" along with Alloy Unlocked will conclude with a final section of the work Battle describes as a celebratory romp.